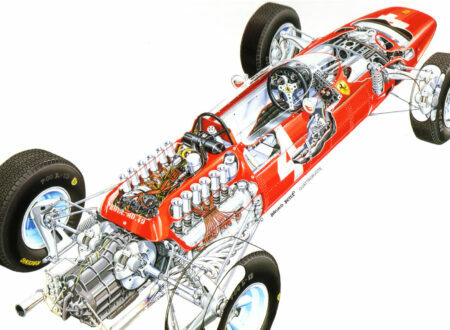 The Ferrari 158 was the car that powered John Surtees to his 1964 Formula 1 World Championship. The car used both the V12 and V8 engine during the course of the season, both engines had a 1.5 litre capacity with the V12 developing 220hp and the V8 developing 210hp. Click any image for the high-resolution version.